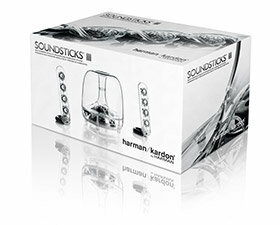 The Harman Kardon SoundSticks Wireless speaker system evolved from the SoundSticks II that now resides in the permanent collection of NYC’s MoMA. 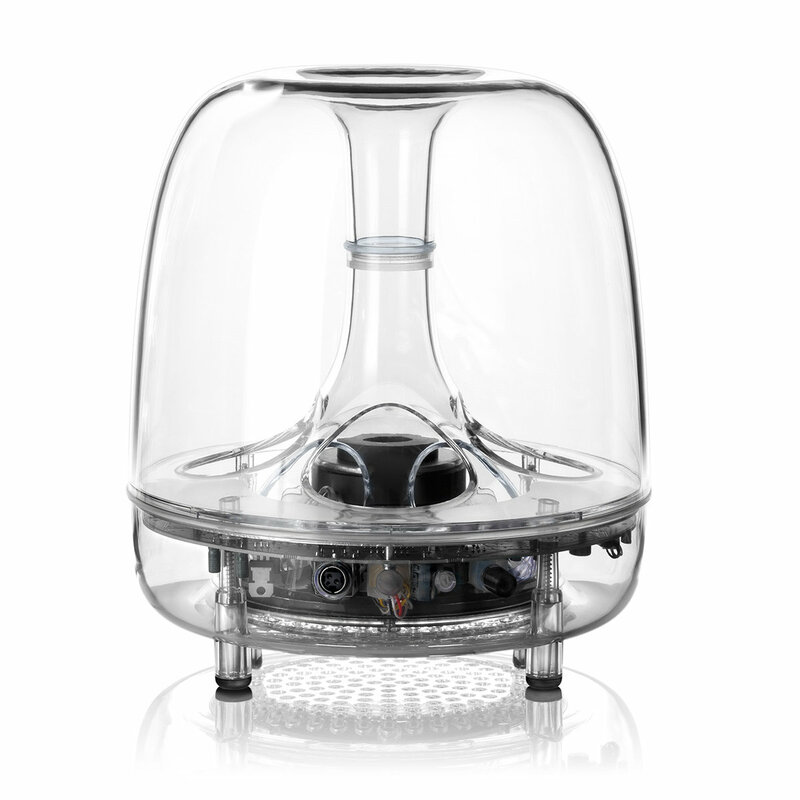 Taking the inspired design of its elder, Harman Kardon engineers improved the aesthetic with slight visual enhancements, and added Bluetooth® technology for a more seamless listening experience. Featuring a six-inch subwoofer, eight full-range drivers and 40 watts of amplification, the SoundSticks Wireless delivers the same beautiful sound and pop-culture appeal as its predecessor, only now you can seamlessly stream audio from any of your favorite Bluetooth-enabled devices be it your iPhone, iPad, laptop, tablet or MP3 player. Three-piece wireless speaker system with Bluetooth connectivity. Beautiful sound requires no wires. Praised for its illustrious design, the Harman Kardon® SoundSticks® speaker and subwoofer system became a milestone in design history when it joined the permanent collection at New York City’s Museum of Modern Art (MoMA). Now an improved incarnation, the SoundSticks Wireless, delivers the same visual appeal plus integrated Bluetooth® technology. You still get the same breathtaking sound and eye-catching design, only now you can stream audio from Bluetooth-enabled devices. Featuring a six-inch subwoofer, eight full-range drivers, 40 watts of amplification and built-in Bluetooth technology, the 2.1-channel multimedia powerhouse brings new excitement to music, games and movies. Let’s face it, most of our audio devices are Bluetooth-capable. And we’re not using them just for music; we’re watching movies, playing games and accessing social content. Using advanced HARMAN TrueStream™ wireless technology, you can connect your Bluetooth-enabled devices such as your tablet, phone, MP3 player and laptop to get the best possible wireless sound quality from all of your audio, not just your music. And it automatically switches to the Bluetooth system when your audio device is connected and playing. So whether you’re working away at the desk or streaming music while lounging on your comfy sofa across the room, you’ll still experience the same high-quality Harman Kardon sound you’ve come to love. 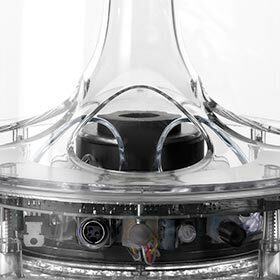 For more than 50 years, harman kardon® audio experts have - through extraordinary industrial design, innovative technologies and meticulous engineering - created products to deliver the ultimate listening experience. From the world's very first high-fidelity receiver in 1954 to high-current, ultrawide-bandwidth amplifier design (still used today) to high-performance multimedia speakers that look as good as they sound, the harman kardon brand has led the way to the finest audio and video quality possible. 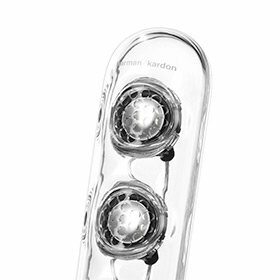 With a complete package of performance, design, flexibility and ease of use, harman kardon products are perfect for all the sounds and visuals that modern, high-definition digital content has to offer. 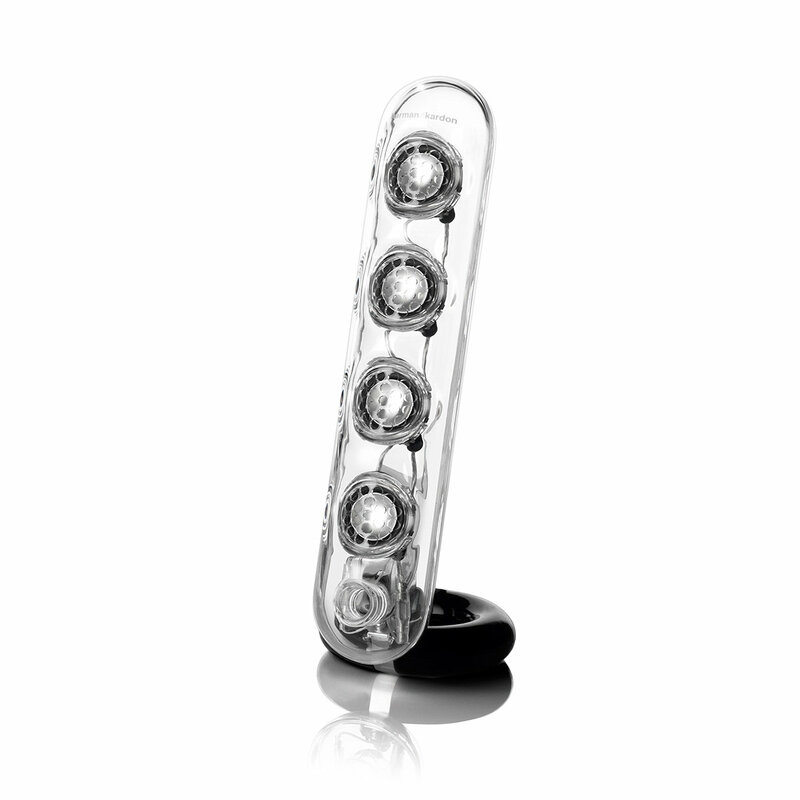 So treat yourself to the ultimate at-home listening experience - one that only a harman kardon system can provide.